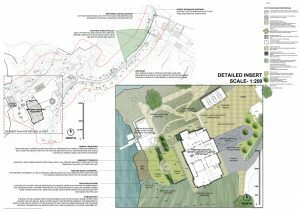 ClewsLA provided landscape design services for the redevelopment of a former shooting estate lodge into an “Art & Deco” style mansion. 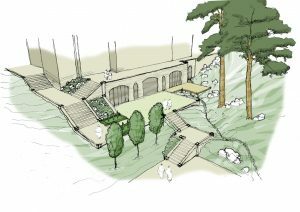 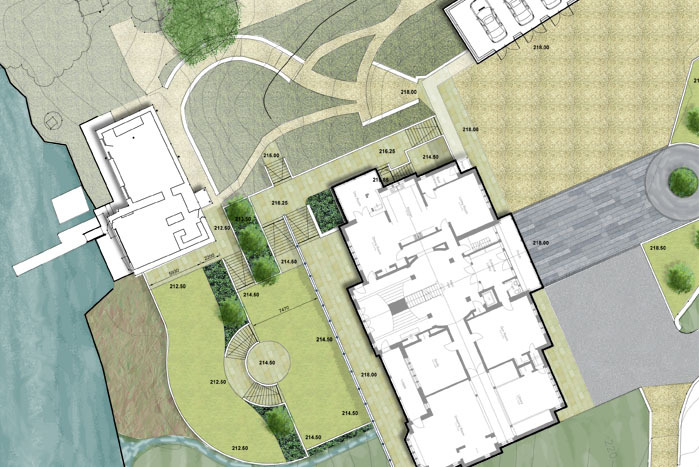 The landscape design creates a sequence of formal spaces over-looking the lake. 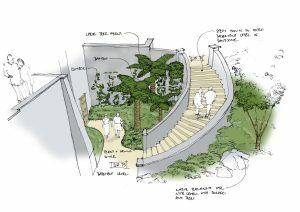 The design is feathered out into the natural landscape by manipulating the existing form to create a native planted embankment with cascading stream water feature that emerges from the building.